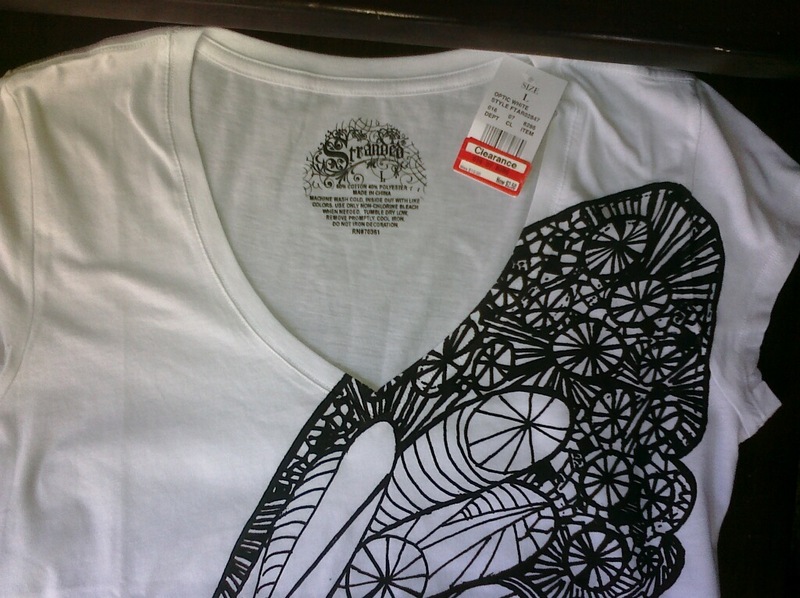 Target: $ .50 Graphic T-Shirts & $ .49 Osmocote Plant Food! You're gonna want to head on over to Target to print your $2.00 off any Women's Top coupon. While you're at it, print off the $3.00 off any Mossimo Women's top coupon. To find them quicker, look under Apparel & Accessories. I found a whole display of women's graphic t-shirts on clearance for $2.50 . . . after the coupon, the total comes to only $ .50 . . .you can't beat that for a cute t-shirt! I was also excited to run into a bunch of Mossimo tops on clearance for only $4.98 . . . after using the $3.00 coupon, my total was only $1.98 for a $19.99 top! Amazing! Remember that clearance items do vary from store to store. 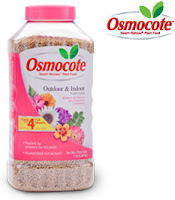 If you are looking to give some nourishment to your plants, you're gonna wanna scoop up this deal on Osmocote Outdoor & Indoor Plant food. The 3 lb. container is on sale at Target for $10.49. Go here to print a $10 mail-in rebate form . . . to bring the total to just $ .49! 5 NEW Hershey's Instant Win Games & Sweepstakes! As if the chocolate alone isn't sweet enough!!! Just register once and enter to play them all daily! Good luck & let us know if you're a WINNER! Go here for your chance to win a tropical cruise for five from Hershey's Almond Joy & Mounds! 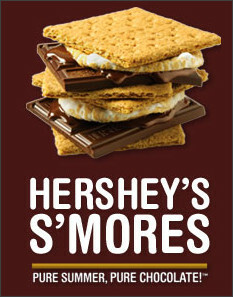 Go here to try to win a Weber grill from Hershey's S'Mores sweepstakes! Then pop in over here to enter for a chance to win the Hershey's Kisses Family Game Night Sweepstakes! You could possibly win a $10,000 family room makeover & other prizes! 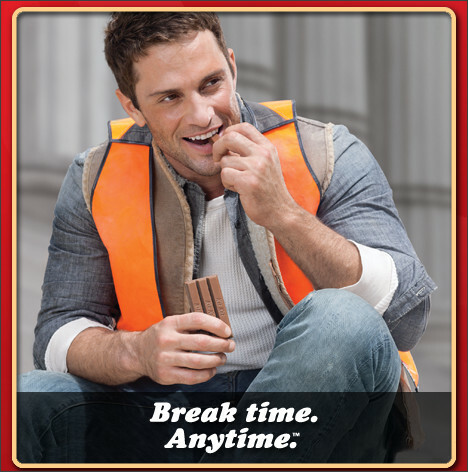 Last but not least, be sure to enter the KitKat Take A Break to Win game here. You could win a Best Buy gift card or maybe even a KitKat bar. COUPON: $2.00 off 8th Continent Soymilk Printable Coupon! Go here to print your $2.00 off 8th Continent Soymilk coupon! You can also print two $1 off 1 8th Continent Soymilk printables by clicking on Get Coupon in the right hand corner. Walmart regularly has these priced at $2.73, so you should be able to grab one for only $ .73 with the coupon! Kick those Monday Blues by spending some time in our Crunchy Deals Forum! Be sure to check back often for new topics, or add one yourself! You can always get to our Crunchy Deals Forum by clicking the link in the upper right page bar. Redbox: 10 Days of Deals Starting Tomorrow (5/16)! Text for your Daily Deal! Starting tomorrow, May 16, Redbox is running a 10 Days of Deals promotion! All you need to do is text the word DEALS to 727272 every day through May 25! Your discount codes will vary from day to day! Instant Win Game & Sweepstakes & Coupon, too! from Kool-Aid (Facebook offer)! 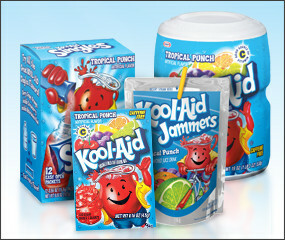 Head on over here to get a .50 off 5 packets of Kool-Aid. Just "like" them on their Facebook page and then submit an entry to win the Kool-Sweeps Kool-Aid Win Back Family Night Instant Win Game. At the bottom of your screen (on the left hand side) you will see the link for the coupon! You could possibly win one of many instant win prizes . . . or you could possibly win the grand prize! The coupon should get you some FREE packets of Kool-Aid with upcoming triple coupons at Harris Teeter next week!